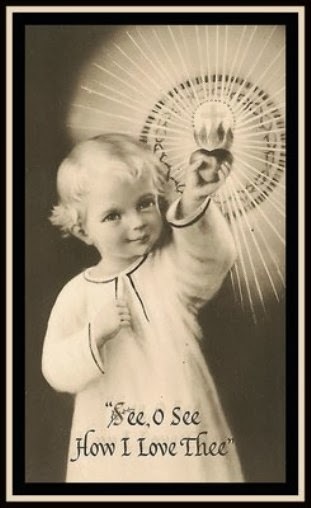 Let us pray to the Child Jesus for people to understand that each child is a precious gift from God, and that we must defend the lives of the babies in the womb and in the cradle. “My children, very close to that place where you will remain peacefully, at the beginning of that big and last storm, which will lead to a follow-up of fair days, you will see, from a very short distance the scourges falling down, but so great and in such a number that you will be left quite anguishing at the sight of so much suffering, even as close as around yourselves. “My children, you will see falling upon the world some deadly diseases which will not even leave time for one to make ready for appearing in the presence of my Son.” (Third part of the prophecies of November 30, 1880). [Source: pp. 65-66, Prophecies of La Fraudais]. Our Holy Mother begs Frenchmen to “spare innocence in the cradle”. Yes, each baby, each of these little souls, has a role to play in God’s Creation. In protecting their right to life we would be bringing God’s graces to our respective countries. But our countries all make a daily blood sacrifice to satan through the vile acts of murder of these innocents. In this way, we call for a Divine Punishment to fall upon us, and to fall upon us quickly. Our Holy Mother knows that we, her children, are embroiled in battle. She knows that to fight for justice means to be made to suffer by those who refuse to do good. Such is our lot if we are to get to Heaven. But even so, she knows our fearful natures, and she assures us that we will have a safe place, that we will be taken care of in the midst of the Punishments: “very close to that place where you will remain peacefully, at the beginning of that big and last storm, … you will see, from a very short distance the scourges falling down”. And these hard days “will lead to a follow-up of fair days”, she assures us. Our sufferings will have their end. Yes, family, friends, and neighbors – those around us will be scourged and this will be a source of suffering for us. But we must stay strong, we must have Faith and intercede for God to give His Mercy to them. Who else can pray for these souls except we who are in Christ’s Church, the One, Holy, Catholic, and Apostolic Church? We must be strong of Faith. So, we must intercede on behalf of sinners for God’s Divine Mercy at all times, every day. It is our moral duty to remember to beg for the conversion of the sick and the dying of that day, daily. Let us never forget this most important intention. If God, in His Mercy, takes us to Heaven, we will see how faithful God is to His Promises. We will meet the souls who have been saved through our intercession, and those by whose intercession we have been saved. Deo gratias!